Keep your phone visible on the bike and store your essentials where you can quickly access them with Timbuk2's Goody Box. It attaches securely to your top and steerer tubes with hook and loop straps and has a separate sleeve for your phone that both protects it from rain and allows you to operate the touchscreen from the saddle. The durable, waterproof TPU liner will keep both your phone and the contents of the main compartment safe from the elements, and you'll have space to store a spare tube, tire levers, or nutrition so you're prepared on your ride. Your browser isn't supported for displaying eBay items. 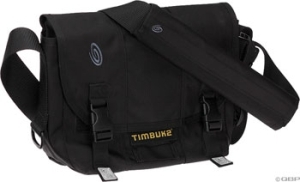 Go to eBay to search for Timbuk2 Goody Box.